I am so excited to share with you our first tutorial VIDEO for you guys to follow along with. Soon, you will be able to purchase everything needed for these videos in a simple kit, but until then, ill be linking up everything that we used. We started with this AMAZING pillow, I personally can’t wait to throw it on my towel at the beach and snuggle up and tan with it! But you can definitely use it as a home dec/lounge chair pillow as well! In this video we will walk you through all the steps to creating this gem! We hope you enjoy the beach vibes music and cannot wait to see what you create!!! We want to see your final product!!! Tag us on Instagram or Facebook and hashtag #MLEVINECREATION for a chance to win some goodies!! Mimi G For Michael Levine DIY Top Tutorial! It’s so strange to be somewhere other than on my blog posting, but I’m very excited to share something awesome with you. Over the next few months, I will be posting amazing, FREE tutorials for all of you to enjoy, thanks to the wonderful folks at Michael Levine Inc. We are going to have so much fun together, but I urge you not to miss any postings or announcements. So please, make sure to follow this blog by clicking “FOLLOW” in the sidebar and signing up for the newsletter HERE. If you are not familiar with my blog, Mimi G Style, or my tutorials, let me share how it works. I film step by step, and easy to follow video tutorials that anyone can sew along to. Not only are my tutorials fun and easy to understand, but they are all fashion-sewing based, and great for any skill level. Now lets get to the tutorial! We will be drafting and sewing from start to finish, a top that is flattering for almost anyone, and then we will be adding some great leather patch pockets, or a cool leather exclamation point. There is also an adjustment for those who prefer an off the shoulder look. Enjoy! We are very excited to share this news with you. 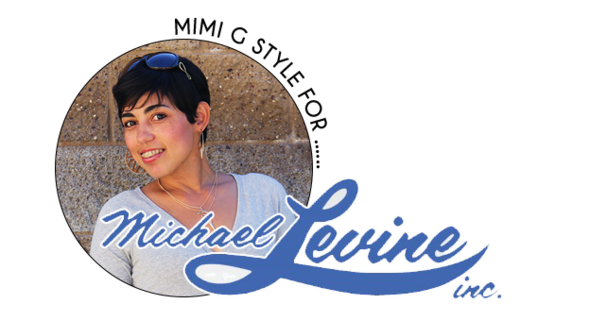 Mimi, from MimiG Style, has come on board as Michael Levine’s Star Blogger. Mimi has been blogging about fashion, sewing, and more for over 5 years. Her sense of fashion and style, combined with her amazing sewing tutorials, has brought her loyal followers from all around the world. She started sewing at twelve while spending her summers visiting her aunt. It was on that sewing room floor that her passion for sewing and creating took hold. We can not wait to collaborate with her! Starting in September she will be bringing monthly projects and tutorials to our followers. From apparel to crafts and everything thing in between. We’re excited to start this new partnership. 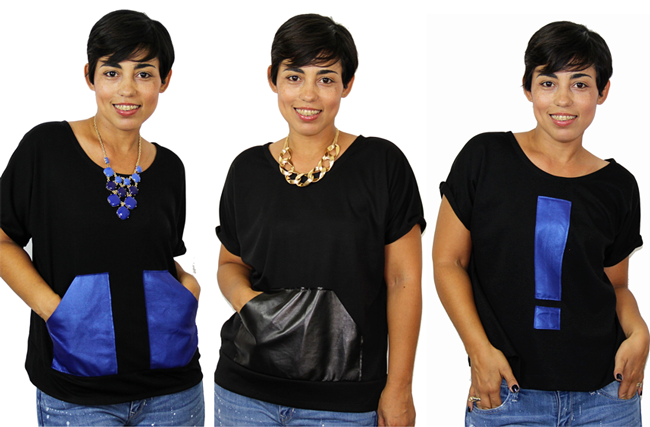 With our fabric and Mimi’s style we think our viewers should be in for a real treat. Stay tuned for our first DYI tutorial mid September. We will be bringing you one of this Fall’s hottest fashion trends.